Coming of age in Florida during the 1970’s, my earliest memories of Florida politics were of the names Bob Graham and Lawton Chiles. Then came Tom Gallagher, Bob Butterworth and Bill Nelson. Back then, Florida politicians were mostly homegrown, and usually affiliated with the University of Florida, which was known as the boy college back then, before FSU and UF became co-ed. So, when Gwen Graham announced her candidacy for Governor, atlas… a familiar name from the old Florida. 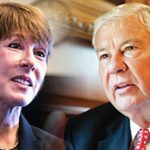 Distractors immediately said she was simply running on her father Bob Graham’s name, and that it wouldn’t work (if she was) because her father had not been on a Florida ballot since 1998, had not been in public office for more than a decade, and it has been over 30 years since he was the Governor of Florida. For them, it meant little that Bob Graham left the Florida Governor’s office with an approval rating of 83% and it never got below 73%, while Scott has at times struggled to be above 40%. They also said many of today’s Floridians have no idea who Bob Graham is. Well, this writer begs to differ. First, the most reliable native voting demographic in Florida (ages 50-64) knows full well who Bob Graham is. Additionally, for the last few years, Bob Graham's focus has taken him to environmental conservation rally’s around the state, speaking in front of environmental groups, at Rotary clubs.. you name it, to talk about civic engagement , environment, and education to name a few. Bob Graham has not been quiet. Consequently, many have fallen under the spell of the Graham magic. It’s easy. Here’s a guy who is a native Floridian from a pioneering family, is unassuming, a former Governor who everyone calls one of Florida’s best, a known policy wonk, a Governor who did work days.. whereby he did ordinary jobs working side by side with ordinary citizens at their jobs (which his daughter emulates). Something his daughter does... even up to election day. Then there’s the always present notepad in his shirt pocket.. which he uses when you talk with him (I wonder what he was writing when he and I met some years ago), and the neckties with “Florida” imprinted all over them. Also, who can forget his role as the Chair of the Senate Intelligence Commission ….whereby he led the Joint Congressional Investigation into 9/11 .... and whom the world listened to as he gave a comprehensive oral report on the investigations findings. Then there is The Bob Graham Center for Public Service at the University of Florida. 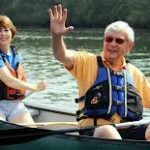 It is there where Floridians young and old learn more about Bob Graham, and pine for a Florida of yesterday when his type of leadership was the standard… to deal with contemporary realities. 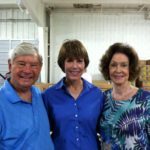 In her recent interview with the Tallahassee Democrat Editorial Board, Gwen Graham answered questions using examples of real life she experienced on her work days, about what she learned from others. In those answers you saw her wonkiness regarding arcane policy detail at work.. especially regarding the environment. I saw her father in her. Then there is Adel Graham wearing her now famous green and white dress with the word Graham imprinted on the fabric in various places forming what could easily be tacky, but instead, an eye catching design. Adel Graham also makes Facebook post in support of her daughter. Then to top it all, get this…. Gwen Graham’s ex-husband is her Campaign Treasurer. In early interviewers, she disarmed those who said she’s running on her father’s name. She said yes I am… that she loves him, is proud to be his daughter, proud of his service, that he’s been a great example for her, and that she also seeks his advice. She reiterates that in this recent article by the Huffington Post here. Her approach to public policy is deliberate, and studied… a lot like her dad. Watching this Democratic field and hearing their echoes and concerns for the common man, I am reminded of the loftier explanation of why the Democrats symbol is a Donkey. That explanation considers the symbol to be Biblical, contrary to the story of Andrew Jackson taking up the Donkey in 1828 when his opponents called him a jackass. For some, the Democratic Donkey symbolizes the New Testaments telling of Jesus riding of a Donkey into Jerusalem, instead of a regal horse.... which would have been a symbol of power and wealth. Some scholars say Jesus chose the Donkey because it is an animal of the common man. Which is what ' opponent Chris King comes close to saying when he says his religious faith is a "curiosity" in the Democratic party. " Above may explain the big broad tent, the party for all, care for the little guy...the common man or women, being a welcoming home to those of all sexual persuasions, nationality, race and religion..... its strength. That’s what’s at stake in this election for many, the needs of the common man. If not simply the common man, this election is also a grab for the old Florida, where environmental stewardship is brought back to its proper place. It's a place Mr. Graham helped foster, and is guiding his daughter to its rediscovery. Perhaps this is Bob Graham’s swan song…. even endorsing candidates like Sean Shaw, a candidate for Attorney General. 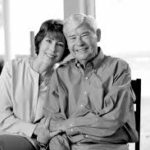 In the end, we may find that Bob Graham still has the Midas touch, as his daughter leads the pack… he having never lost a race, possibly making him the most influential Democrat in Florida.